After a review of the early Black Friday ads, I can share with you the predictable conclusion that not much has changed in the gendering of children’s toys. Most of the ads support traditional notions of masculinity and femininity, leaving little room for diverse gender representations. By prescribing some toys based on gender, we create and reinforce gender norms that prevent children from expressing a wide range of abilities, behaviors, emotions, and talents. For more reading, there is a substantial literature that addresses the the content and impact of gendered toys on children’s socialization, but I like this Feminist Frequency video because it is witty and uses visual media to make the point. If we were to take the Black Friday advertisements seriously, it would seem that boys are the more active gender. Boys are typically shown in action, playing, riding, or building. 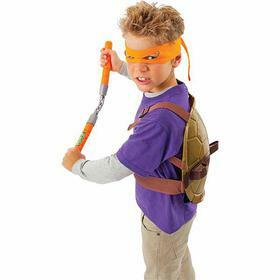 In some ads, boys wield weapon toys, such as guns or, in the case of this ad from target.com, a ninja turtle sword.In addition to being more active and potentially more violent, the ads for boys’ toys are more likely to imply a setting outside the home. In other words, the dominant image of masculinity presented through the advertising of boys’ toys is one that is active and in the public sphere. Girls, on the other hand, are more likely to be involved with domestic activities, like cooking in the kitchen, vacuuming, or taking care of the children. 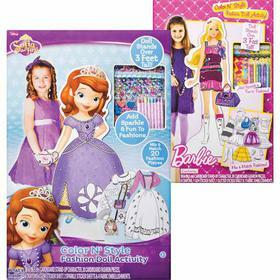 If the girls are not shown with toys about home upkeep, they are likely to be featured with makeup and princess attire.In the world of girls’ toys, fashion and princesses reign supreme. All of these activities presumably happen inside in the home. In other words, the dominant image of femininity is domestic, obsessed with appearance, and in the private sphere. While toys overwhelmingly seem to conform to the traditional gendered expectations of masculinity and femininity, there are some instances in which a child plays with an unexpected toy. 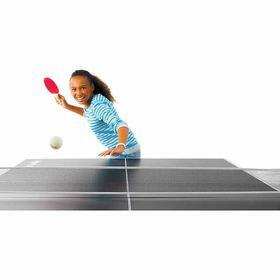 For example, in this target.com ad, a girl is quite actively playing table tennis. However, it seems that the examples of gender nonconformity in toy advertising are usually those in which girls play with toys typically for boys. I have yet to encounter an ad from the U.S. in which a boy plays with princesses or fashion. I can think of one exception from Sweden. Last year, the Swedish version of the Toys R Us catalog featured boys and girls participating in both masculine and feminine activities, meaning boys also played with dolls and makeup. I am interested to see if others have encountered ads in which boys participate in a gender nonconforming activity or play with a traditionally feminine toy. If you find one, please post it below! Kane, Emily. 2012. The Gender Trap: Parents and The Pitfalls of Raising Boys and Girls. New York: NYU Press. Williams, Christine. 2006. Inside Toyland: Working, Shopping, and Social Inequality. Los Angeles: UC Press. Cheryl Llewellyn is a Ph.D. candidate in Sociology at Stony Brook University. Her research addresses disparities in immigration policies, particularly asylum and refugee status, across gender, sexuality, race, and nationality. It’s so frustrating to see that nothing has really changed in the world of children’s toys (especially for boys). I highly recommend a book–Barbie’s Queer Accessories (by Erica Rand, http://www.amazon.com/Barbies-Queer-Accessories-Series-Q/dp/082231620X/ref=sr_1_1?ie=UTF8&qid=1385409056&sr=8-1&keywords=Barbie%27s+queer+accessories), for people interested in queering children’s toys. The most gendered/sexualized toy can still be appropriated to challenge our gendered ideals. And that gets me thinking too…sites like pinterest and other social media/sharing sites might be a good place for parents to share ideas on how to de-gender toys. Obviously, it starts with buying toys that children enjoy or that build skills, not just toys for a particular gender. But we are creative creatures, so it seems to me that we can really put that to good use (and harness the creativity of our children) to come up with new “queer accessories” with existing toys. Not to mention making toys and games for our children, rather than succumbing to the consumerism that our culture pushes down our throats.